Netflix is building a brand that is the leading model for the future of TV, according to analysts at Pacific Crest Securities. 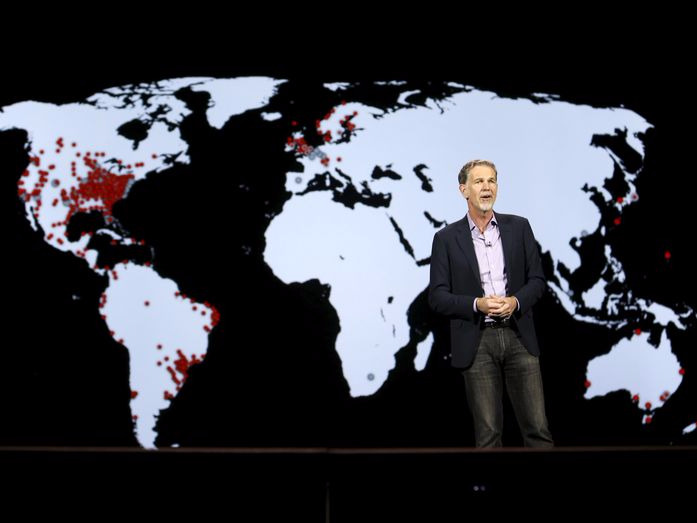 The key is Netflix’s global expansion, which exploded in January when Netflix added 130 new countries in a single day, bringing the total to over 190. Netflix’s recent strategy has been to move toward global licensing for as many of its shows as possible. You can see this in the emphasis Netflix has placed on “originals,” shows or movies Netflix has usually bought outright, and has the rights to show anywhere in the world. Netflix ’s head of content Ted Sarandos has said that Netflix will release a gargantuan 600 hours of original content this year, including more than 30 shows. They are simply a better investment, according to CEO Reed Hastings. If Netflix can transition to having most of its content be globally available, this will allow Netflix to drastically lower the amount it pays for content per subscriber. “For the vast majority of the company's markets, the only geographic-specific costs are local advertising, the costs of dubbing and subtitling (if Netflix chooses to localize content), and content-delivery cost,” the analysts write. Once you buy a show like House of Cards, it doesn’t cost you much to show it to new subscribers in Morocco or Albania. Traditional TV networks don’t have the same global advantages as Netflix. These networks “often have different brands, different ownership structures and different monetization strategies for different geographies,” the analysts write. This decentralization comes with a host of inefficiencies, but it particularly hurts data collection, something Netflix claims drives many of its content decisions. Pacific Crest thinks that with Netflix’s international expansion, its data advantage over its linear TV competitors will continue to balloon. They imagine a future deluge of international data, which will let Netflix build itself into an increasingly efficient content machine, one that will snag many of the benefits of a market the analysts see as having “winner-take-all” characteristics.